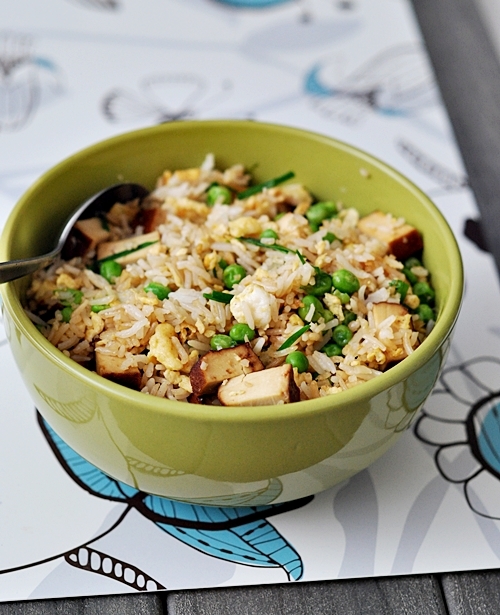 There are so many ways to make fried rice. 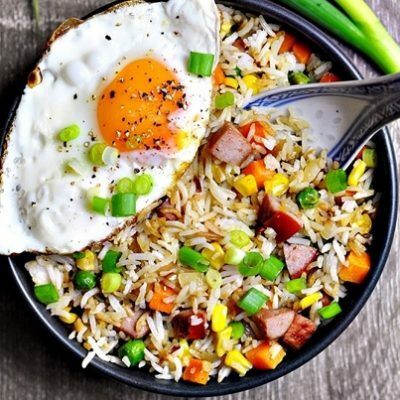 In fact, I don’t seem to have a fix recipe for fried rice. 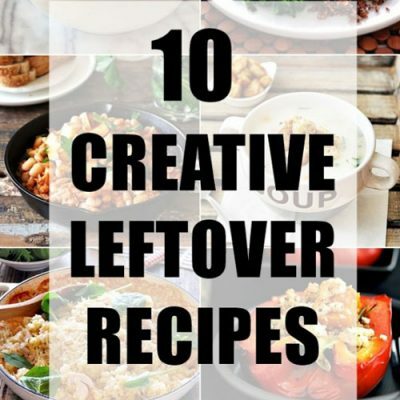 As all of you may know, it is a versatile dish that you can improvise based on the ingredients you have on hand. 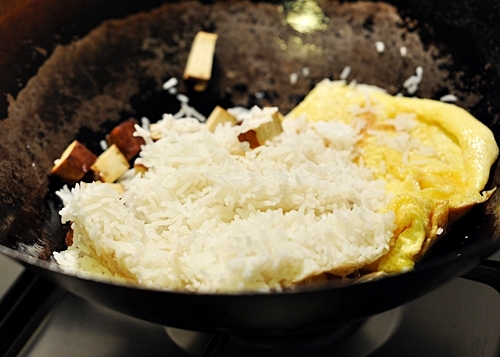 All you have to do is to saute them with some cooked rice and eggs. 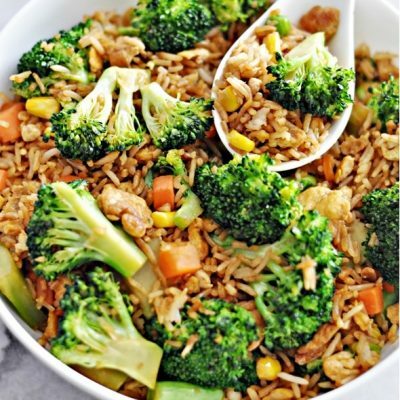 Leftover rice is even better! 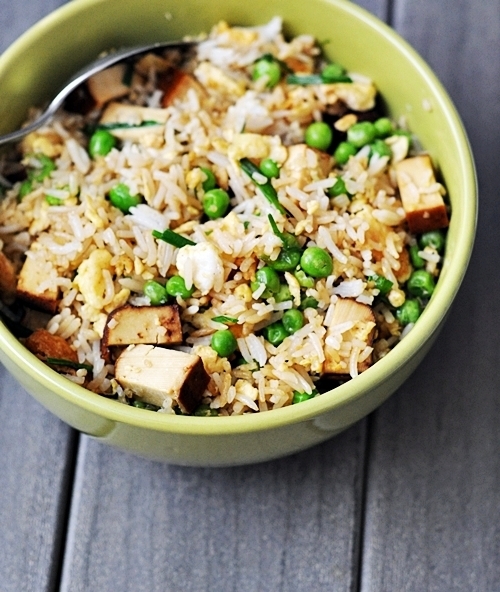 Whilst I don’t mind meat in my fried rice, I think meatless version is just as good. 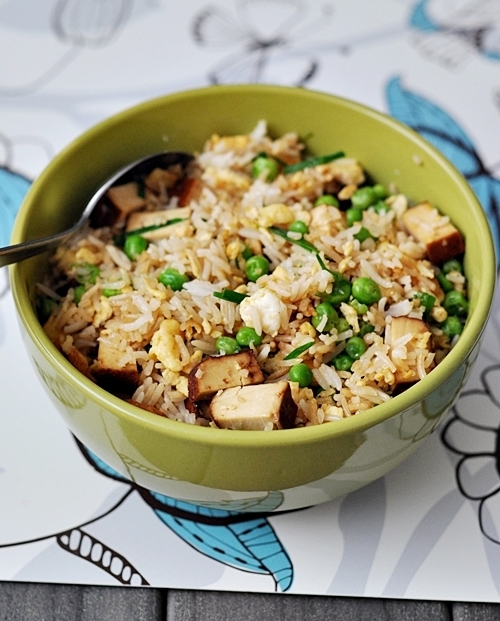 My favourite choice of protein other than meat and eggs in my fried rice is tofu. Marinated tofu, to be exact. 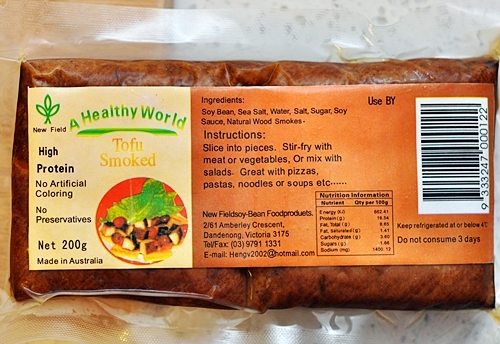 My latest discovery is smoked tofu. The smokiness of the tofu and soy sauce coupled with the nuttiness of sesame oil really bring my meatless fried to a whole new depth of flavour. Who would have thought a simple tweak of ingredients could make such a wonderful difference? 1. Dice tofu, chop garlic finely and chives. 2. 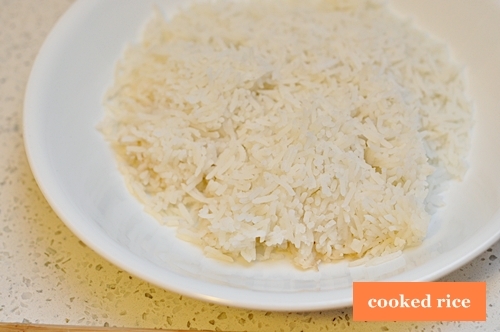 If you are using leftover rice, make sure it is at room temperature. I microwaved the cold leftover rice for 1 minute. 3. Beat 2 eggs. 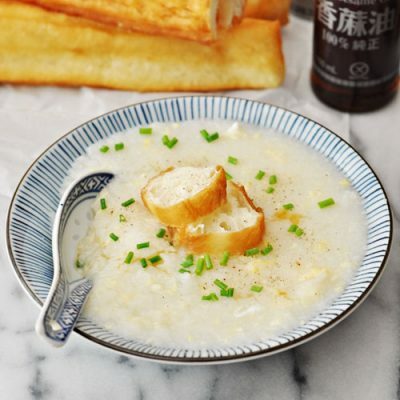 You can season the egg with white pepper if you like. 4. Heat some oil in a wok (or medium sized pan). 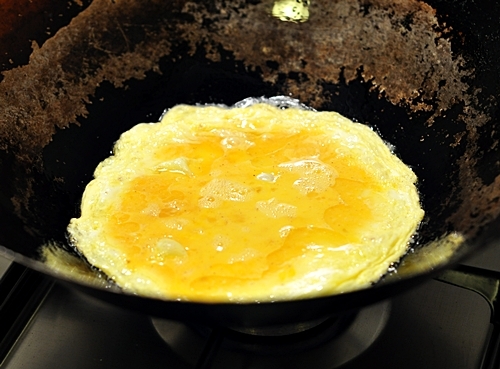 When the oil is hot, add beaten egg and cook over medium heat. 5. 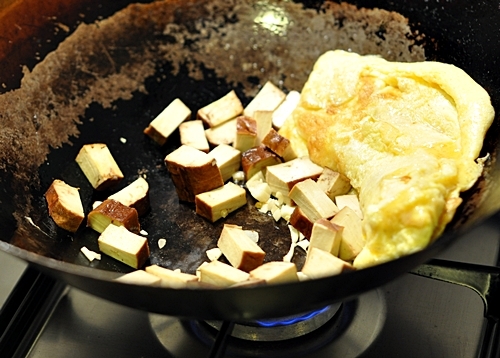 When the egg is ¾ cooked, fold the egg in half and push it aside. Over low heat, add garlic and smoked tofu. Add more oil if the mixture feels dry and saute until the garlic is aromatic. 6. 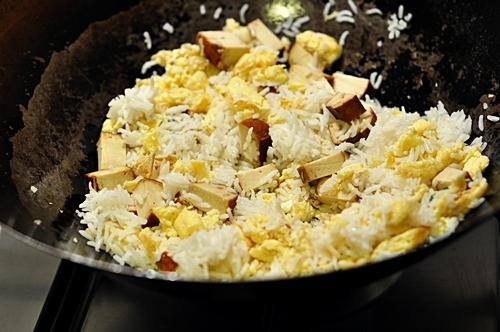 Add rice to the egg and tofu mixture. 7. 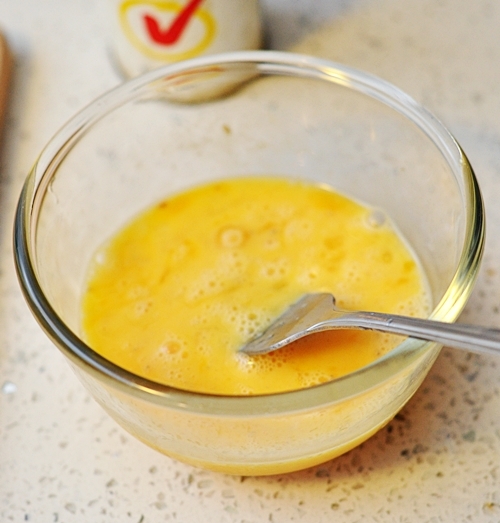 Break the egg using a wooden spoon and stir to combine the ingredients. Do this over low-medium heat. 8. Add frozen peas. Mix to combine with the rice mixture. 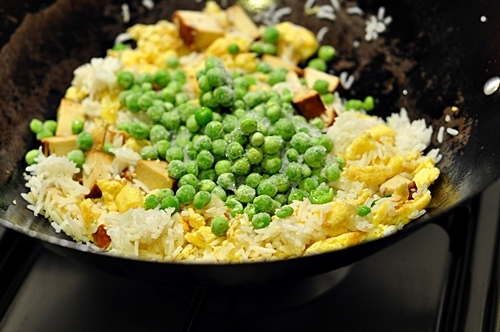 Stir fry the rice until the peas are fully heated through over low- medium heat. 9. Turn the heat to low. Add soy sauce to taste, 2 dashes of ground white pepper and sesame oil. Stir to combine the seasonings with the rice mixture. When it is well mixed, add chives. Turn the heat to high, and stir fy the rice for half a minute. 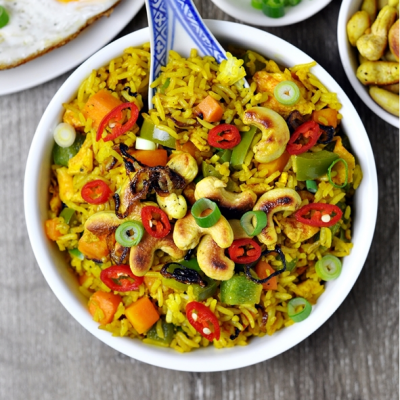 I saw this on Tastespotting – yum! I must make this! 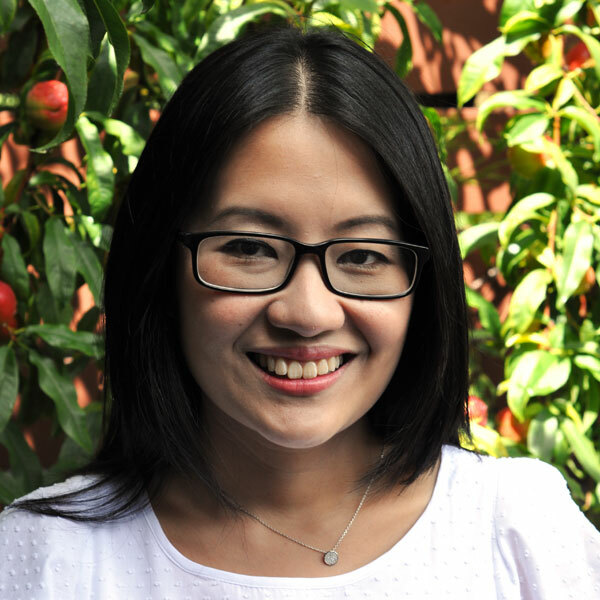 Glad to have found your blog! Great photos! wow this looks PERFECT. 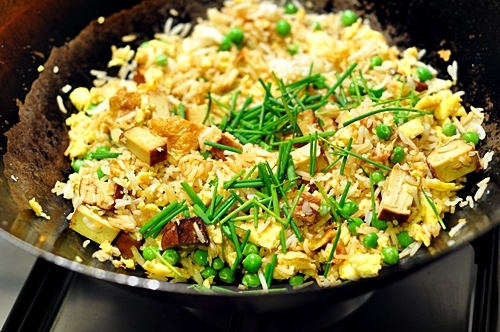 i’m doing a post on fried rice tomorrow morning, and my pictures now look so dismal compared to yours…jealous! Oooh, I have a stovetop smoker and definitely see some tofu going in there soon! Looks great! That’s so much like how I make a paneer fried rice. Looks delicious and healthy! I just made a huge plate of this and it was delicious. I added bamboo shoots (because everything is better with bamboo shoots) and had to start the eggs off in a separate pan because I have a stupid electric hob which takes about 10 minutes to raise or lower heat, but other than that I followed the recipe precisely and it came out great. Will definitely be making it again. How might one make smoked tofu? Liquid Smoke as a marinade? I’ve never seen it in my grocery store. Thanks for dropping by. 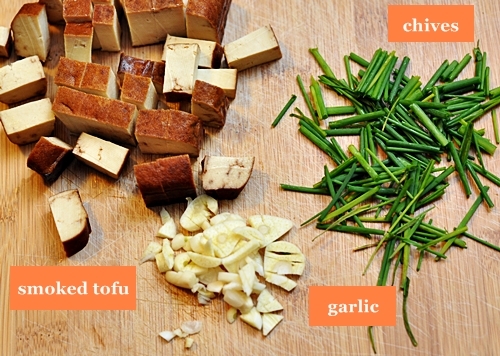 Unfortunately I am not sure how to make smoked tofu, I would reckon you place a piece of tofu in a smoker perhaps? Thank you for a great recipe and the step by step photo instructions. I’m new to stir frying even though I’m Asian (oh the shame) and your directions helped create a delicious dinner. I added mushrooms to make it more substantial. Love the chives addition as opposed to shallots and onions.